Hey, I have encountered a problem with my computer, it wont start up. I've replace the PSU and have tried 7 different bars of RAM, removed the GPU, and I am thinking the only thing left is the motherboard. 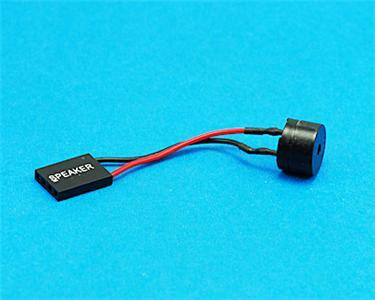 My case doesn't come with a motherboard speaker, so I can't hear the beep code for POST, I am wondering where i can get one of them in Auckland? I've looked online from PB tech, PlayTech, and PriceSpy and they don't seem to have them on their list. Any small speaker will do. See you have have one in a an old small radio lying around. Two wires onto the motherboard should do it. Even a speaker from a brainbox set would do. yea i know eBay has them but they take up to months to ship to NZ, wondering if i can get them locally. I don't have a small radio either. Athlonite, I am in Auckland. I just wanna be sure it is the motherboard that is having the problem before I purchase a new one. If you are in Auckland, wander into one of the larger branches of pbtech at a not so busy time and ask. Their techie guys have trays full of odds and ends and will sell you small quantities if they have any spare. The North Shore branch has helped me out in the past.